Students of MICE selected in the National Talent Search Examination 2017-18. This exam was conducted by The Department of State Education Research and Training (DSERT) on 5th November 2017 for the students of standard X. This year DSERT selected 194 students of class X and these students are eligible to write the II stage of the exam which will be conducted on 13th of May 2018 by NCERT. 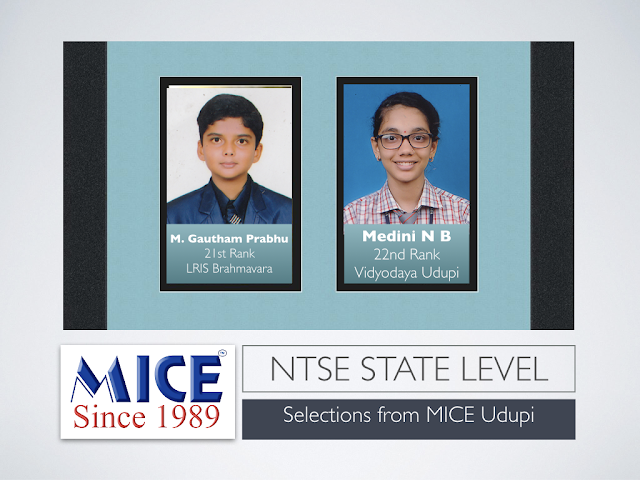 Till date 62 students trained at MICE-Udupi are National Scholars and are receiving Rs. 1250/- per month from NCERT and will continue to do so until their Ph.D. 182 students trained at MICE who were selected at State Level will receive Rs. 2000/- per year for 2 years by the Karnataka State govt. Statistics shows that those students who have undergone 2 years of training with us for NTSE are capable of getting the prestigious KVPY scholarship by the Indian Institute of Science, Bengaluru. In the last 10 years of training 16 of our students have been selected as ‘Kishore Vygyan’, and all are those who have undergone NTSE training at MICE. These students on selection will not only get Rs. 84000/- per year as scholarship till their completion of Ph.D, but will also get direct admission the IISC, Bengaluru for persuing their education in pure science stream. 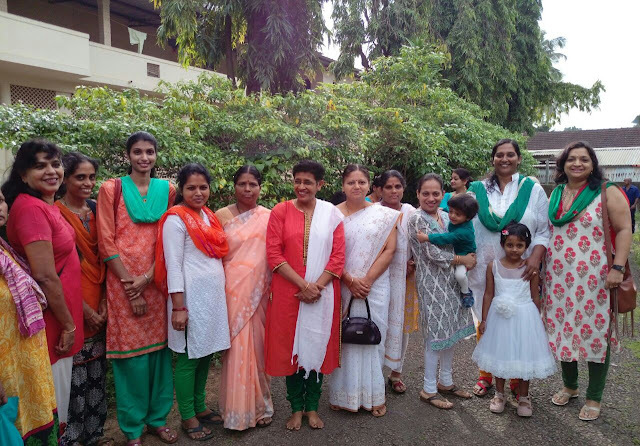 Principal Suprita S Amin congratulated the students and their parents on their achievement and wished them the very best in their future endeavors.